I have never been one to need an excuse to whip up some tasty treats in the kitchen, but if I needed a reason, then the Big Game would be the perfect excuse. I love how Game Time (especially the Big Game!) brings friends and family together. I’m a sucker for anything that brings two of my favorite things together – food and friends. Honestly, I look forward to the time spent with good food and the people I love more than I look forward to Game Time (but don’t tell anyone else my little secret!). I’ve got the perfect pairing for this year’s Game Time celebration, whether you’re hosting a gathering or crashing a friend’s party. 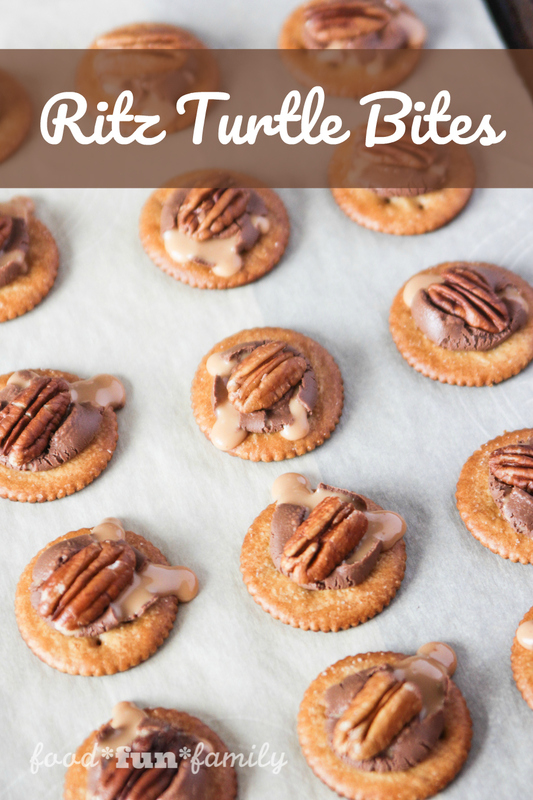 I’ve brought a few of my favorite tastes together into one delicious and sinfully easy snack – Ritz Turtle Bites! And I can’t leave out my favorite drink of all time – Coca-Cola Zero Sugar – which goes perfectly with these turtle bites. I picked up all of these ingredients at Walmart this week so that I’d have a head start on our Big Game party planning. 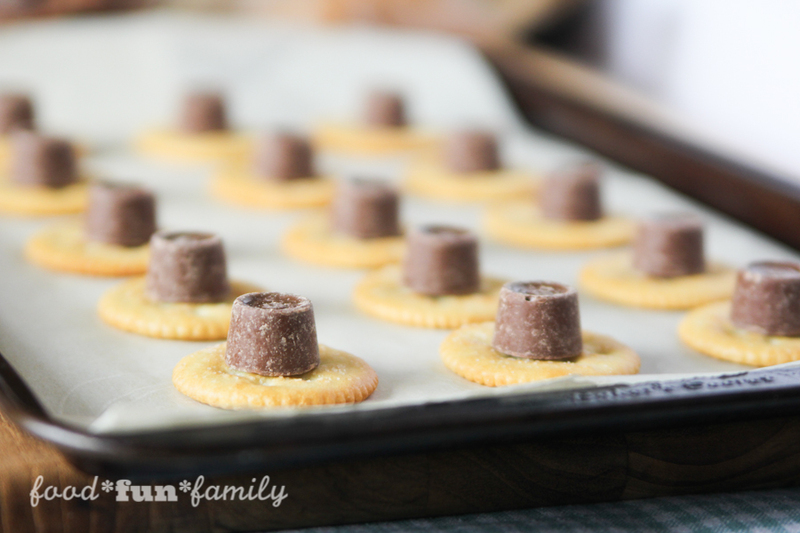 The BEST thing about these Ritz Turtle Bites is how delicious they are, but a close second is how easy they are to make. You can whip up a whole batch in under 10 minutes (can’t beat that!). 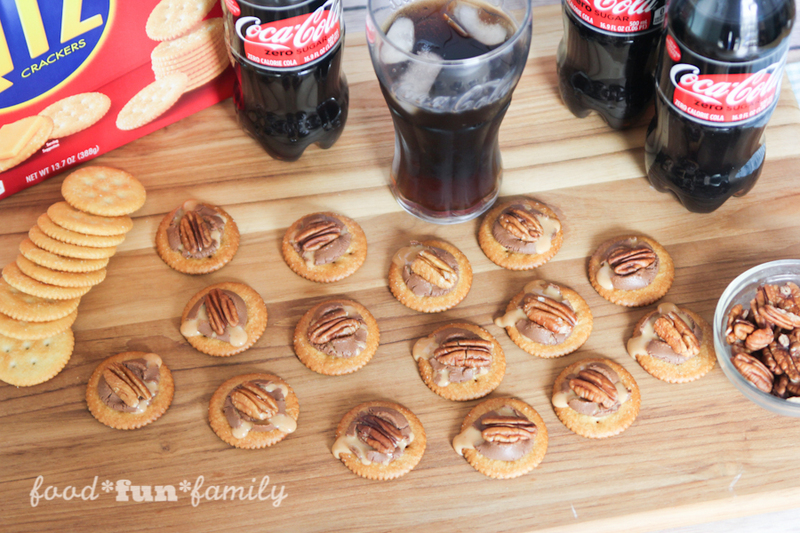 I’m telling you – this snack is going to be the hit of your party! 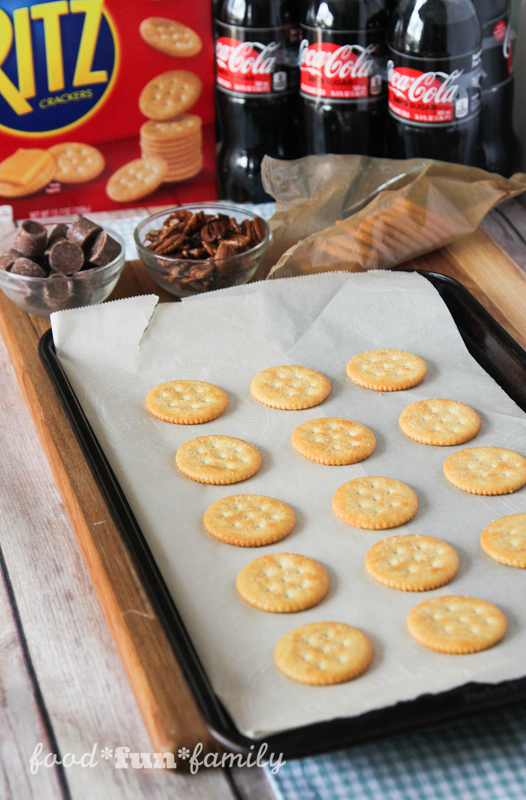 Place Ritz Crackers on a cookie sheet lined with parchment paper. 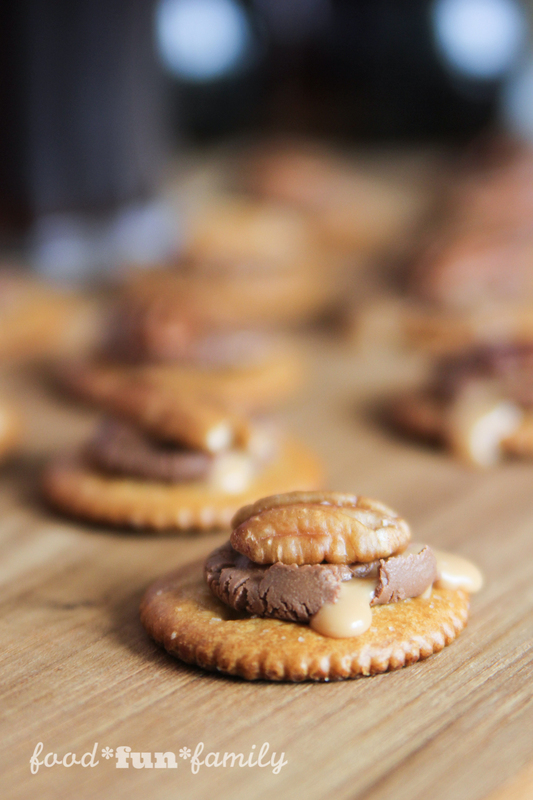 Put one Rolo candy in the middle of each Ritz cracker. Heat crackers in the oven for 3-4 minutes, just long enough so that the candy softens. 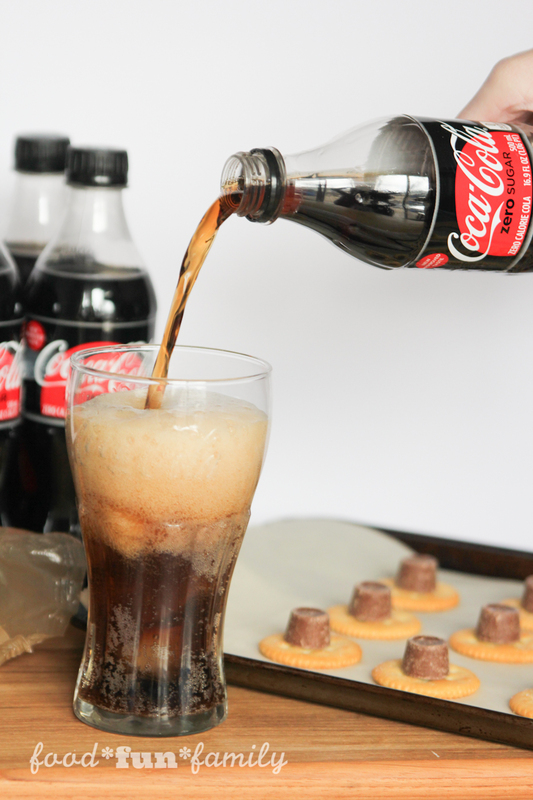 This is the perfect time to pour a nice cold glass of Coca-Cola Zero Sugar to sip while you wait. Remove the cookie sheet from the oven. While the chocolate is still warm, press one pecan half on top of the Rolo and press down gently. Don’t forget to serve with Coca-Cola Zero Sugar! The recipe couldn’t be any easier, but I did want to point out a tip about amounts. 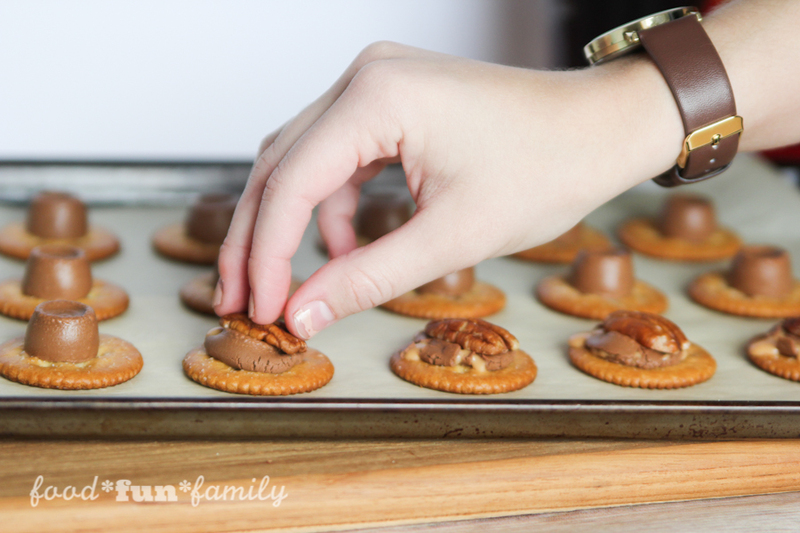 For every Ritz Cracker, you’ll need one Rolo candy and one pecan half. It’s a one-to-one-to-one recipe. Easy peasy! I recommend planning for 3 turtle bites per person you’re expecting to be at your Game Time gathering. If you need more, it’s quick and easy to put another batch in the oven. Note: you can also make these in the microwave by placing crackers and Rolos on a microwave-safe plate and heating for about 25 seconds. Ritz Crackers are the ideal starting point for so many snacks and finger foods, whether you’re craving a sweet treat like this one or serving alongside a cheese log (another party staple at our house!). I love the buttery-salty goodness of Ritz Crackers. It’s amazing how versatile they are! 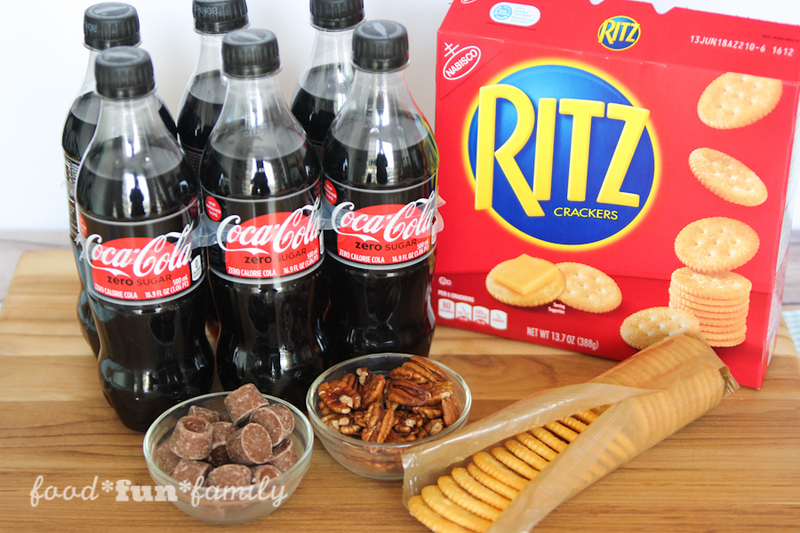 What are your favorite ways to enjoy Ritz Crackers and Coke? I’d love to hear your favorite cracker pairings – are you a cheese and cracker kind of person or do you like getting creative with sweet treats like me? Be sure to check out the Recipe Contest on shespeaks.com to share your ideas and get delicious ideas from others, too!